Insight into impermanence is central to Buddhist practice. The Buddhas last words were: All conditioned things are impermanent. Strive on with diligence. Many religions grapple with impermanence and suffering. Some spiritual traditions equate the world of impermanence with suffering. For these, the solution to suffering is to transcend the world of impermanence. 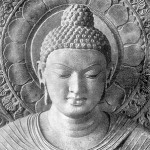 The Buddha approached suffering differently. He said that suffering is not inherent in the world of impermanence; suffering arises when we cling. When clinging disappears, impermanence no longer gives rise to suffering. The solution to suffering, then, is to end clinging, not to try to escape from the transient world. One means of reducing clinging is to see the transient nature of what we cling to. This insight can either show us the futility of trying to find lasting happiness in what is impermanent, or it can encourage us to examine deeply why we cling. Impermanence can be understood in three ways. First, is the obvious, ordinary understanding of impermanence. Second, is understanding from insight, from the intuitive, direct seeing of the nature of things. Finally, there is the way in which seeing impermanence can lead to liberation. Beyond the ordinary experience of impermanence, Buddhist practice helps us open to the less immediately perceptible realm of impermanence, i.e., insight into the moment-to-moment arising and passing of every perceivable experience. With deep concentrated mindfulness, we see everything as constantly in flux, even experiences that ordinarily seem persistent. Confronting impermanence profoundly, in this meditative way, can open us to liberation. The final, liberativelevel of impermanence is the movement towards letting go at the deepest level of our psyche. AjahnChahonce said, “If you let go a little, you’ll have a little peace. If you let go a lot you’ll have a lot of peace. If you let go completely, you’ll have complete peace.” This release is sometimes called Mahasukha, the Great Happiness, which is said to be the only happiness that is ultimately reliable. Impermanence causes suffering.It is not simply that there are these two marks of existence, aniccaand dukkha, but rather that aniccabrings about dukkhawhen the world is regarded with ignorance, or to say it differently in the absence of wisdom. So we see that for the Buddha, although there are three stated marks or characteristics of existence, anicca, dukkha, and anatta, when looked at carefully they appear to reduce more or less to a single, key characteristic: that of impermanence or anicca. The other two derive from that basic feature of reality, when wisdom is absent. In a sense the entirety of Buddhist philosophy and metaphysics can be seen as a lengthy coming to terms with the truth of impermanence. This isn’t surprising, since if we think about it impermanence is the only of the three characteristics that is mind-independent, that would be present in the universe were there no conscious beings. Without conscious beings there would be no dukkha, and there would be no locus around which anotion of self could coalesce. There would only be the impermanence of physical form. This led us to a realization that anicca(impermanence), holds the key, since the other two characteristics of dukkha(unsatisfactoriness) and anatta(non-self) are brought about by impermanence, when in the presence of ignorance. In the intellectual environment in which Buddhism evolved, the concept of something being stable and lasting was very important. In the pre-Buddhist Indian world, the word nityawas often used to designate that foundation, that stability. The view put forward in the Upanishads, for example, suggests that within all the changes of the individual being there is a deep part of one’s psyche, called the āmanor the self, that in some way either underlies or transcends…all of the changes that go on moment to moment. If we could only discover this subtle self in our experience and dwell in it moment to moment, we would manage to overcome the transience of the world and become established upon something eternal and everlasting. This is the background against which Buddhism was working. And the Buddha, with his several excursions into the nature of human experience, basically came to the conclusion that this is an entirely constructed concept. The claim of stability articulated in these traditions is really just an idea that we project onto our world; it is not to be found in actual experience. So one of the principle insights of the whole Buddhist tradition is that the entire world of our experience… is fundamentally not permanent, not unchanging. Everything is in flux. As far as classical Buddhism is concerned, impermanence is the number one inescapable, and essentially painful, fact of life. It is the singular existential problem that the whole edifice of Buddhist practice is meant to address. To understand impermanence at the deepest possible level (we all understand it at superficial levels), and to merge with it fully, is the whole of the Buddhist path. The Buddha’s final words express this: Impermanence is inescapable. Everything vanishes. Therefore there is nothing more important than continuing the path with diligence. All other options either deny the problem or give it short shrift. The happiness that spiritual practice promises is not endless bliss, endless joy, and soaring transcendence. Who would want that in a world in which there is so much injustice, so much tragedy, so much unhappiness, illness, and death? To feel the scourge of impermanence and loss and to appreciate it at the same time profoundly as the beautiful essence of what it means to be at all—this is the deep truth I hear reverberating in the Buddha’s last words. Everything vanishes. Practice goes on. Small Group Exercise: Choose a quote from below or one of your own & discuss how it relates to your thoughts on Impermance. This entry was posted in buddhism, Home and tagged Anicca, discussion, Impermanece, Insight Meditation Center, Panna, Three Characteristics, Three Marks of Existence, Wisdom. Bookmark the permalink.